Bullying is wrong. You know that, I know that. We all know it. Lately I’ve been having my say a lot about bullying and probably a lot of people are fed up of me going on and on. Well guess what? Tough, I’m going to keep going on. Why? Because bullying is such a big topic. It’s not only affected myself, but people I love and care about, too. Although physical and verbal bullying are both a big issue, in the past decade, a new form of bullying has come to light-cyber bullying. Now, it might not seem like it will affect people as much as the other forms of bullying, but believe me, it can have a very big impact on people. Social networking, in my opinion, is great. I can talk to friends who I don’t have much contact with due to only being in school on a restricted timetable, I can catch up with my friends from England, I can look at photos that my family from the other side of the world have postedï¿½you get the idea. The only thing I dislike about it is the fact that people use it to hurt other people. Personally, I think things have gotten slightly worse with cyber bullying when social networking apps became available on phones. As a lot of you know, people tend to take their phones to school and a lot of them end up using their phone in class. Imagine you’re in maths (I’m not using a real life example, by the way, I’m just giving a random example), you’ve just done a two mile run in PE and you’re feeling slightly ill. Your hair is a mess and you’re almost nodding off. Someone takes a photo of you not looking your best and then uploads it to Facebook using the app. With a lot of people on their phones during the lesson, they are likely to be on Facebook, too, which gives them the ability to see the recently taken photo (provided they are friends with the bully, of course). By the time you get home and log onto Facebook on your computer, there’s been loads of comments and likes on the photo. Social networking has become the new fast lane for bullying. You can be bullied anywhere at any time, even in the comfort of your own home. The new route of bullying has come with a new advantage for bullying: they can be totally and utterly anonymous if they chose to be. People can bully without you even knowing it’s them. You can make Facebook pages where the admin is anonymous and therefore, hate pages can be created. It’s the same with Twitter. You can create an account with a hate username and even not put in your real name, but instead words of hatred and it will be accepted. I don’t know about you, but that seems like the coward’s way of being a bully, not even having the guts to let the victim know who they are. More proof that bullies are actually wimps. Obviously, I’m not the only person who has experienced this. According to dosomething.org, nearly 42% of kids have been bullied online and almost one in four have had it happen more than once. About 75% have visited a Website bashing another student. 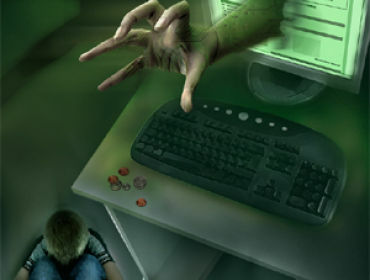 About 21% of kids have received mean or threatening e-mails. 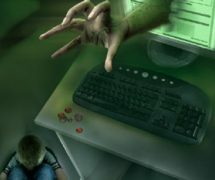 The psychological and emotional outcomes of cyber bullying are similar to real-life bullying outcomes, except for the reality that with cyber bullying there is often no escape. School ends at (approximately) 3 p.m., while the Internet is available all the time. About 58% of kids admit someone has said mean or hurtful things to them online. More than four out of ten say it has happened more than once. Cyber bullying has increased in recent years. In a national survey of 10-17 year olds, twice as many children indicated they had been victims and perpetrators. Online bullying is a much more serious and a bigger issue than people realise. I think there should be more action taken out against bullying in general, but I think people such as teachers need to realise that it still has a very big impact on people. It’s all very well saying “I don’t like Faceook” or something, but that isn’t going to put an end to the situation, is it? I want to be able to do whatever I can to raise awareness about how serious bullying is. I want to help make a change. I hope the right people will see articles such as this one and realise that it is a serious issue and it needs to be dealt with. Not pushed away to one side. If you have been affected by any form of bullying, talk to Meic.